Asia is the center of evolution for babblers. 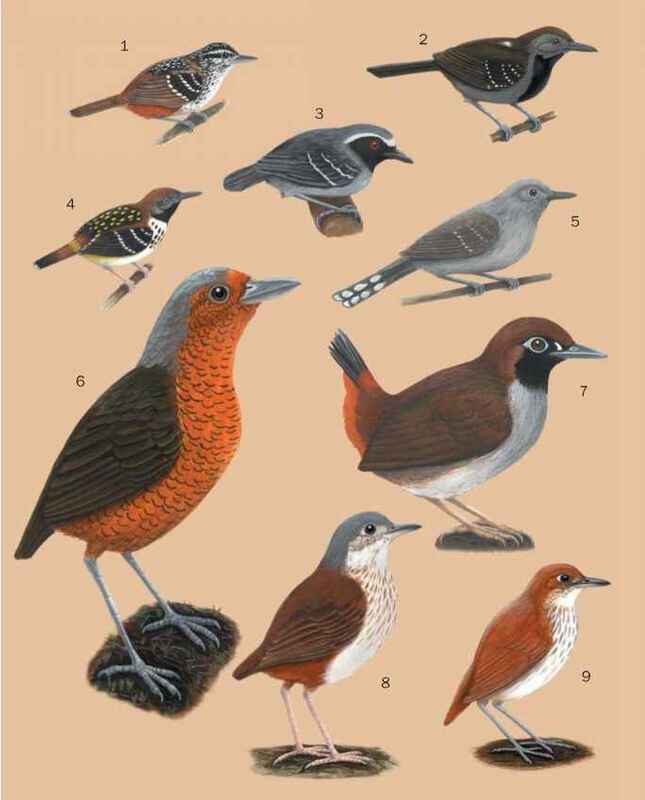 With the exception of the unique picathartes, which DNA research suggests may not be babblers at all, but an ancient African lineage, most of the 33 African babblers appear to be derivative of large Asian genera. Only recently have several of them been removed from Asian genera, and placed in ones exclusive to Africa, such as 1lladopsis and Pseudoalcippe, while 15 are clearly members of Turdoides, widespread in the Indian subcontinent. Typical of the island, the six species in Madagascar, all endemic, have no connection to the African mainland. The Indian subcontinent, including Sri Lanka, is another babbler stronghold, and 131 species are recorded there. The majority are birds of the Himalayas, shared with China, but a number are endemic to Peninsular India or Sri Lanka. In the Middle East, babblers are represented by three species of Turdoides. Europe, including the United Kingdom, share the bearded reedling (Panurus biarmicus) with temperate Asia. Finally, on the Pacific Coast of North America is the wrentit (Chamaea fasciata).